In a week of innovation revelations, birthday celebrations, and withdrawal implications, social media conjured up a storm of headline-worthy news. Catch up with what’s been happening below in TTI’s Follow-Up Friday. Yes, you heard me correctly. 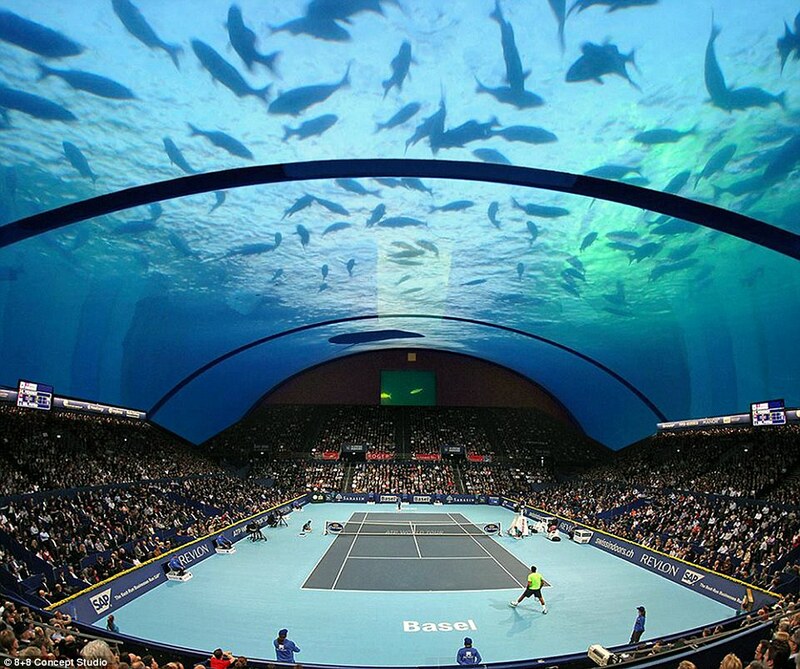 Developments are underway to develop the world’s first underwater tennis court, just off the coast of Dubai. The Middle Eastern playground is known for its advancement in design and architecture, and this project will be a serious undertaking for creative Krzysztof Kotala. The development plans have already been written off given the difficulty of the projects execution, but that still didn’t stop people talking about the possibilities of exploring an underwater world in the midst of an epic tennis match. What are your thoughts on this project? Another unbelievable tennis story this week is World No.1 Novak Djokovic’s withdrawal from the Mutua Madrid Open – putting an end to his clean sweep of Masters Series 1000s this year. Perhaps the Serb was feeling generous, allowing his colleagues to claim the title without his presence? Djokovic will be back in action in Rome, but the big question now is this: will Nadal be able to shake off his season-long funk, or will any of the other big guns be able to step up to the plate? Critics have already suggested that skipping Madrid will hurt Djokovic’s French Open preparations, while others have predicted it could lead to Grand Slam glory. It’s now the second year in a row the Serb has bypassed this tournament, and hasn’t been back since 2013, when a bad crowd encounter led to an epic loss against Grigor Dimitrov. Will he complete the career slam in Paris? Or will missing Madrid have shot himself in the foot? Though the men’s top seed will be missing in action this week, there’s still plenty other players flocking to Madrid on the quest for clay court glory. Players have been hitting the practice courts hard, slip-sliding on the dirt in the high altitude of Spain’s largest city. A Tale of Two Federers? Away from the impending Madrid draw, action is already underway in Istanbul, headlined by Roger Federer, who has just achieved 200 match wins on the dirt — the 7th active player to do so. Clashing in the final with the Swiss Maestro could be Grigor Dimitrov, who hopes to improve his rather shaky start to the season. The quarterfinals are set with Federer facing off against Spanish clay-courter Daniel Gimeno-Traver, while Dimitrov is up against the veteran Croat, Ivan Dodig. Eugh, Shoot Me I’m Famous! In this relatively short spring break before the lead up to big clay tournaments, a few tennis darlings have been strutting their stuff in front of the camera. The WTA’s Holy Trinity of marketing success joined forces in a bid to out-do each other in the style stakes. Speaking of Caroline, she celebrated the Bryan Brother’s 37th birthday this week. Here’s a few little facts about the twins to send your minds spinning: they’ve finished the ATP season ranked No. 1 a record 10 times, have won 106 doubles titles together which includes 16 Grand Slams (six AO’s, two FO’s, three W’s, five USO’s), a Gold medal in the 2012 London Olympic Games, four Year-End Championship titles, (34) Tour Masters 1000’s, (12) 500 series and (39) 250 series. It’s safe to say they are the most successful American doubles players of all time.